I am a Suzuki violin teacher and I wasn’t sure where to post this question. Come this spring I will be the director of our local Suzuki concert and I want to share with the audience how the Suzuki method came to be. Violin is easy, read Nurtured By Love by Dr. Suzuki. I want to also share how the Suzuki viola, and cello got started. Who were the “founding fathers” how did it get up and running. If anyone knows this or one but not the other I sure could use direction on this. Thanks! viola “founding mother and father” would probably be the Preucils… who also edit the viola volumes. One of the the flute teachers that I work with had this to say about how the Suzuki flute got started. This is what I’m looking for far as the viola and cello is concerned. man who formulated the flute method. His story is very interesting. I don’t know if you want all of the little details, but I will include them anyhow. You might find them interesting to include for the forum concert. Toshio Takahashi started his working career as a Suma wrestler (you would never beleive this now because he is very skinny). One day, when he was about 18, he was walking in an open marketplace in Japan when he heard this beautiful music (the “Hungarian Pastoral Fantasy” by Doppler) played by a flute. He was so moved that he inquired as to what the name of this piece was and what instrument was playing. When told it was a flute, he went directly to the nearest music store to find a flute. Not having the money, he asked that the store please hold a particular flute for him until he could pay for it. He eventually bought it. Without a teacher, he listened to recordings and played by ear. He practiced 12 hours a day until he could eventually play the “Hungarian Pastoral Fantasy.” At this point, he realized he needed a teacher and turned to Dr. Suzuki for help. Dr. Suzuki, not being a flutist, advised him to seek one of the world’s best flutist, Marcel Moyse as a teacher. All he could tell him was that Mr. Moyse lived somewhere in California. Mr. Takahashi set out to California, leaving his family behind. He searched for over a year, working all sorts of jobs, until he finally found Mr. Moyse. He studied with him for quite awhile and returned to Japan to formulate the flute method with Dr. Suzuki. The many pieces by French composers was a result of the influence of Marcel Moyse, a French flutist. Moderator’s note: This post was originally the start of another topic in the teacher’s forum. I have moved that topic to the general forum and merged it with this topic, as all the responses pertain to the same question. End Moderator’s note. I had posted this question in the Suzuki Forum but not a lot of feed back. So I thought I’d try the teachers. Come this spring I will be the director of our local Suzuki concert and I want to share with the audience how the Suzuki method came to be. Violin is easy, read Nurtured By Love by Dr. Suzuki. I want to also share how the Suzuki viola and cello got started. Who were the “founding fathers”, how did it get up and running. If anyone knows this or one but not the other I sure could use direction on this. In my other post someone did say that the Preucils started the viola but I would like to know more about them. See my other post on what was said about the flute. One of our local flute teachers was able to help me out with that. Thanks again for any help. Moderator’s note: This reply was originally posted in the teacher’s forum, as a response to the post above. End moderator’s note. This is why Suzuki has a lot of problems. Do Suzuki not have a guitar and flute method as well. For some reason violin gets all the attention. Of course Suzuki himself was a violinist, so the violin Suzuki repertoire and teaching were established first and have been around longest. I think Suzuki piano is probably the next best established (or, rather, the next most ‘famous’) of the instruments that have Suzuki repertoire and teacher training classes available. Besides viola and cello, there is also flute, guitar, organ, harp, recorder, bass, voice…. Please note: all the posts in currently found in this thread were originally contained in two topics, which I have merged. Thanks all who contributed information to me for my research. In a nut shell this is what I came up with for what I needed. There is more info out there but you have to look. 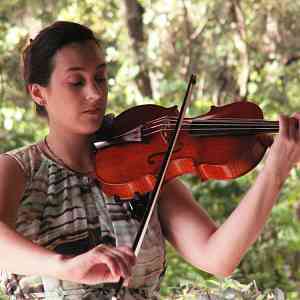 Some teachers were using different methods and rewriting the violin music for viola. It was brought to the Suzuki Association of the Americas attention in the early 1970’s that this lack of music was a problem. Many violist went to work seeking solutions to the problem efforts, which met with Dr. Suzuki’s approval. Volume 1 of the Suzuki viola books were compiled and edited by Doris Preucil and published in 1981 and was recorded by William Preucil. Dr. Suzuki’s friend Mr. Sato in 1968 had his books, which he had taken violin materials and placed them in the cello range, first appeared in the United States. American cellist had been transcribing for at least a decade before trying to come up with creative ways to adapt violin books into cello. With all of the different variations of cello material out , a group of American, European and Japanese teachers got together in 1985 and compiled the cello literature that you now have. In 1995 we celebrated 20 years of coordinated effort to create materials for Suzuki cello. Thanks to a great committee. Hope this helps. Happy researching.